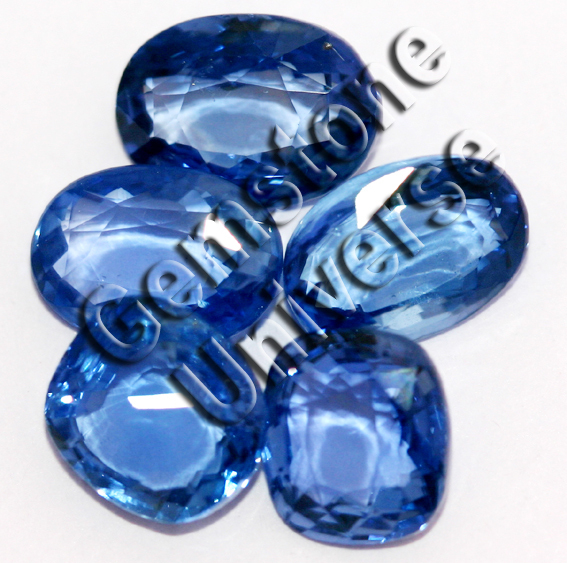 A small lot of beautiful, fully Natural Blue Sapphires have been acquired today. What makes these beauties special is that they come close to the famed Kashmir color. The Soomjam Mine that closed several years ago produced these beauties that are still heavy in demand due to their distinctive color. This lot comes close to that color and is nearly eye clean. Currently under the process of classification and certification. 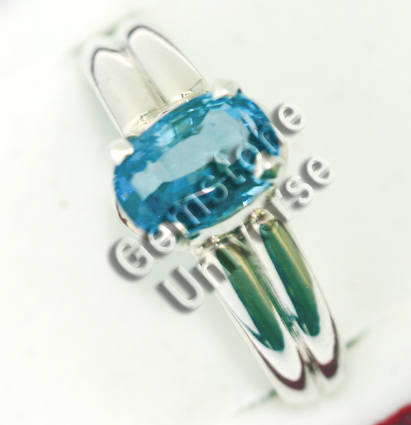 It should be uploaded to our online inventory of Blue Sapphires online in around 3 weeks time. 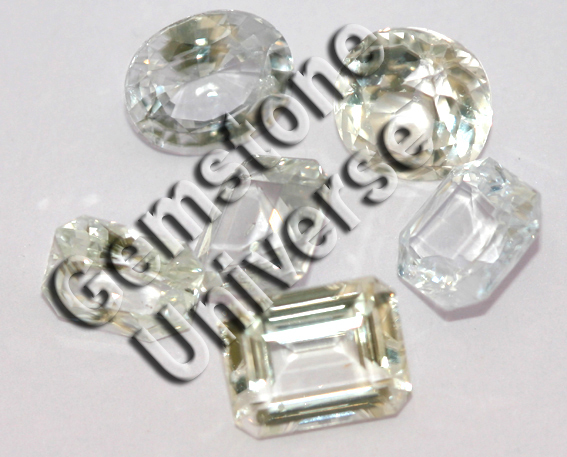 For those individuals who put size of a gemstone at a premium we have good news. 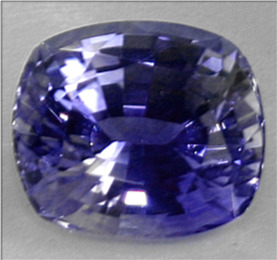 Today we have acquired a fully Natural, Unheated lot of Ceylon Blue Sapphires in the size range of 5.5-carats to 8 carats. These solid rocks are near flawless, with good lustre and intense sky blue colour (See picture above). These would be classified and uploaded in around 2 weeks time in the online Blue Sapphire vault on Gemstoneuniverse.com. These are exciting times for us and each day is bringing new developments. Visit periodically to have a view of the new inventory. 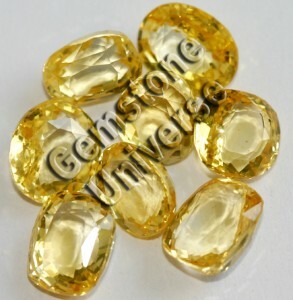 Trust Gemstoneuniverse.com to come up with a gem of an offer. 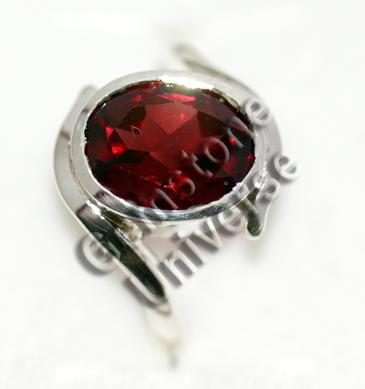 Natural unheated Rubies are very rare in today’s market. Great Value. If interested please send us an email. 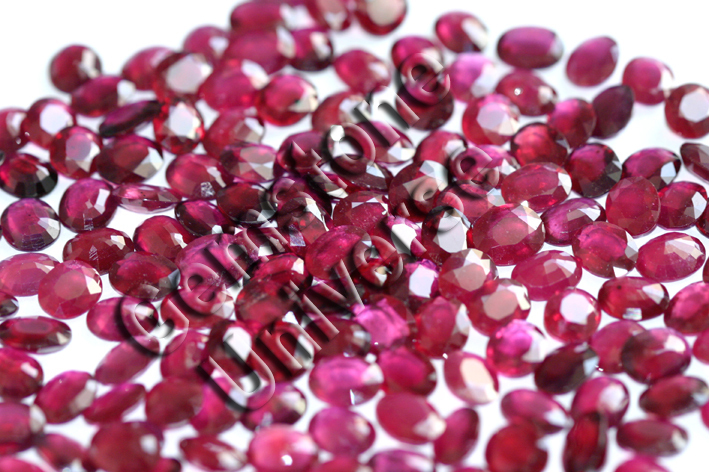 Burmese Ruby Price Per Carat and benefits in wearing gemstone are explained. Shipped to Patron in Colorado, USA. Final Price all inclusive USD ($) 573/ INR Rs. 26449/-. Fully Natural, ox blood color, robust and powerful Red Coral exhibiting the best of Mars energies, from the Gemstoneuniverse.com collection of fine natural gemstones. Just have a look at the workmanship. The same labour would have cost an extra $500 in the USA. Fully Handmade, lovely ring. Gemstoneuniverse.com-The Gold Standard in planetary gemology. No competition. No comparison. 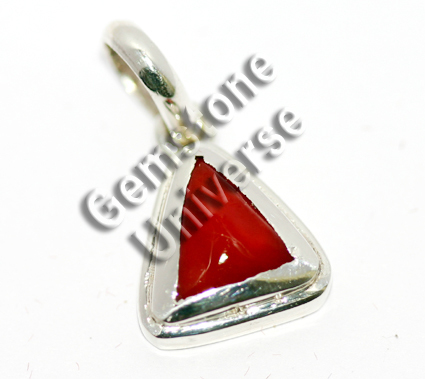 Natural triangular Italian Red Coral of 3.64 carats set in Sterling Silver 925 pendant. Shipped to Patron in Ontario, Canada. Final Price all inclusive USD ($) 175.50/ INR Rs. 8101/-. Robust, perfectly proportionate, clean surface, Italian Red Coral from the Gemstoneuniverse.com collection of fine natural gemstones. 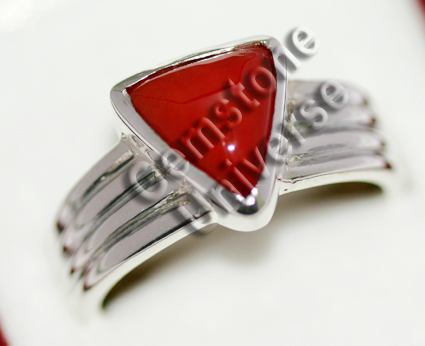 Natural triangular Italian Red Coral of 3.38 carats set in Sterling Silver 925 Gents ring. Shipped to Patron in Bangalore, India. Final Price all inclusive USD ($) 123/ INR Rs. 5720/-. 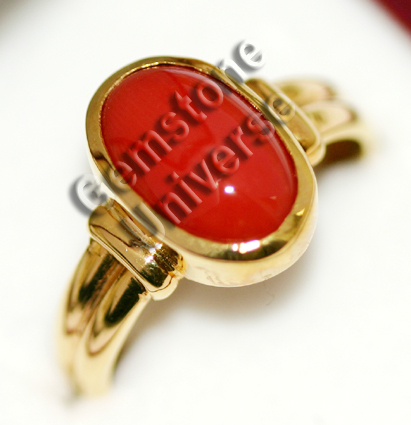 Robust, perfectly proportionate Italian Red Coral from the Gemstoneuniverse.com collection of fine natural gemstones.